Educational Qualification : Matriculation or its equivalent from a recognized board and Players who have participated in any International Sports events as a member of the Indian Squad for last 01 (One) year and players who have won medal(s) in any National Games/ Championships recognized by Indian Olympic Association, Sports Federation of (concerned sport) for last 01 (One) year. 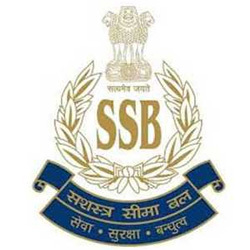 SSB Selection Process : Selection will be based on Physical Standard Test , documentation & written examination. How to Apply SSB Vacancy : Interested Candidates may apply in prescribed application form along with self attested photocopies of age, qualification, experience, caste certificate, Bonafide/ Domicile/ Permanent residence certificate, Two self-attested recent passport size photographs, Two self-addressed envelopes of 11.5 cms x 27.5 cms with postage stamps worth Rs. 25/- affixed in & in an envelope should be superscribed as “Application For The Post Of Constable (GD) Under Sports Quota – 2016-17 & 2017-18″ send to the Assistant Director (Sports) Force Hqr., Sashastra Seema Bal (SSB), East Block-V, R.K.Puram, New Delhi -110066 on or before 30.07.2017.